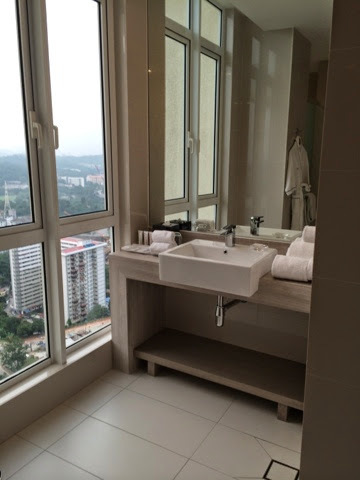 If you are looking for a 'home away from home' type of accommodation in KL, you won't be disappointed with the choices out there because there are more and more hotels adopting serviced apartment concept coming up, like The Capri by Fraser which is located in Bangsar, Kuala Lumpur. 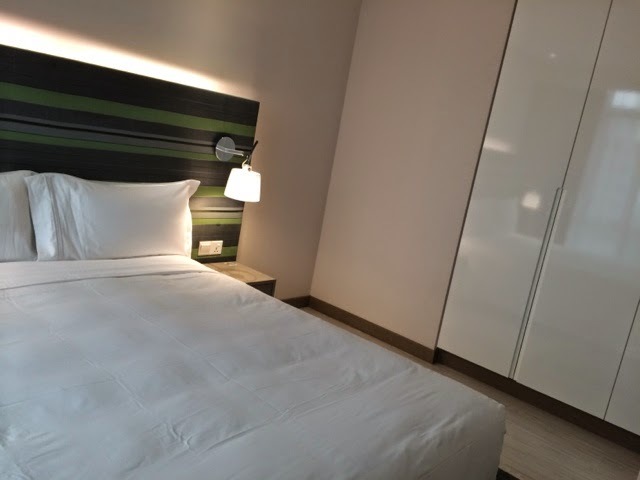 Part of the Frasers Hospitality Group, the hotel residence boasts new experience where work merge with play, and the result is casual atmosphere with business needs combined. 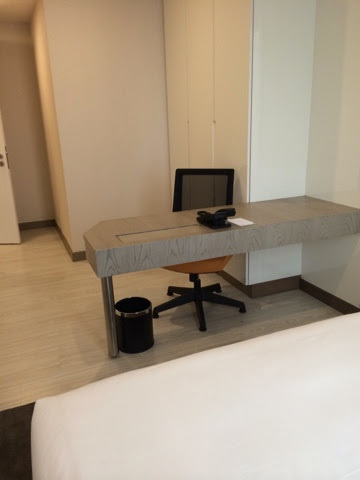 Walking into the lobby and seeing rows of iMac for guests to check emails or surf the Internet is proof of the hotel's effort to infuse work with play (Apple is of course always associate with the lighter side). 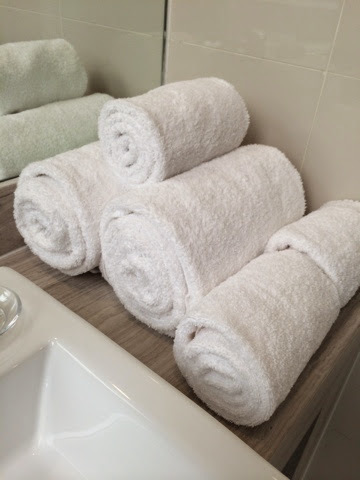 This was my first experience of booking a serviced apartment, and I was pleasantly surprised to discover that it offers value for money, yet at the same time you can get similar experience as staying in a regular hotel. 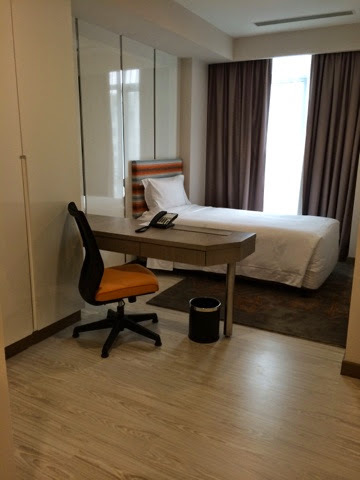 Although The Capri is located rather out of the way of KL city, there's a PUTRA LRT station (Universiti station) nearby (though you have to take a taxi to go there) that is just 5 minutes away. For those who just want to have a stroll in a shopping mall nearby, Nexus is just next door. So it is pretty convenient if you ask me. 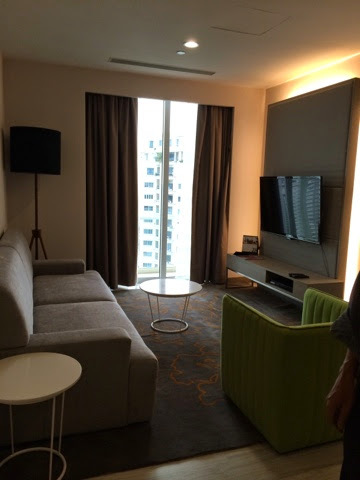 I booked a three-bedroom apartment for our stay, with the rate under RM1000 per night (it was around RM700++). 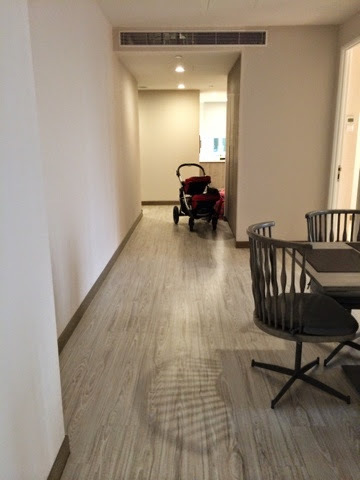 When we entered the unit, we were impressed at how spacious it was considering the price that we paid. All of the rooms are tastefully decorated in earthen color and white washed walls and cabinets, exuding a sense of simplicity yet chic look. You can comfortably do your work here since WiFi is free. 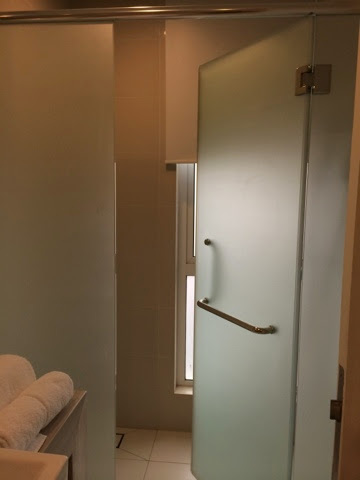 The master bathroom has separate shower area with frosted glass for privacy. 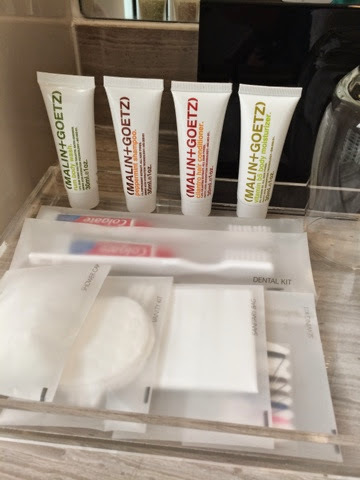 Malin+Goetz toiletries, but I don't really fancy the aroma. 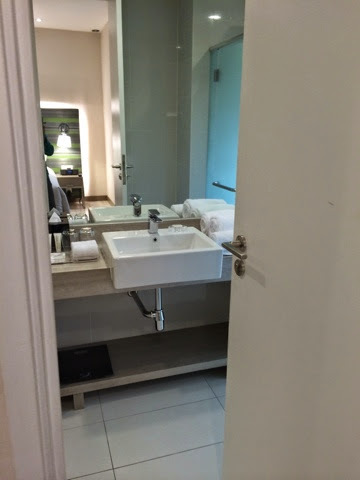 There is also a common bathroom / toilet with shower cubicle and vanity area. 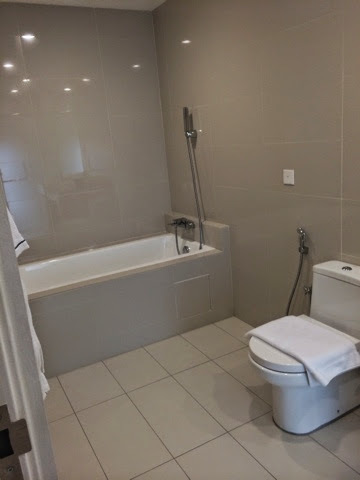 Bathroom with a view! Just don't stand naked at this area, although I think the window uses reflective glasses so people can't see from outside. 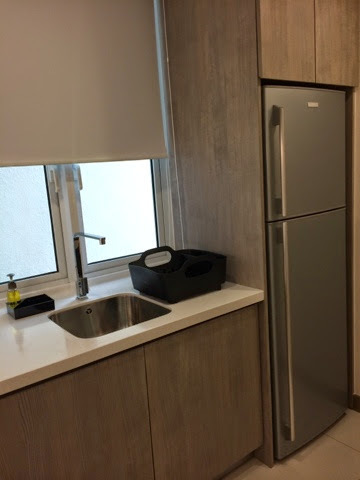 What I really love about the hotel apartment is the well-equipped kitchenette complete with electric kettle, built-in microwave, cutleries, plates and mugs, sink area, electric stove, and a fridge. 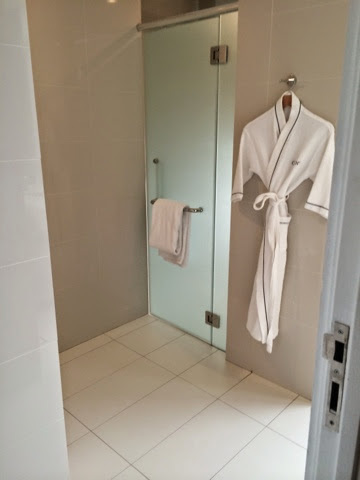 You can opt to wash your own clothes (please request for detergent from the housekeeping team) and even dry them using their Electrolux washer-dryer machine. No more dilemma on whether to pay exorbitant laundry charges or bringing back dirty laundry (I always hate unpacking because it means piles of dirty laundry to do once I reach home). 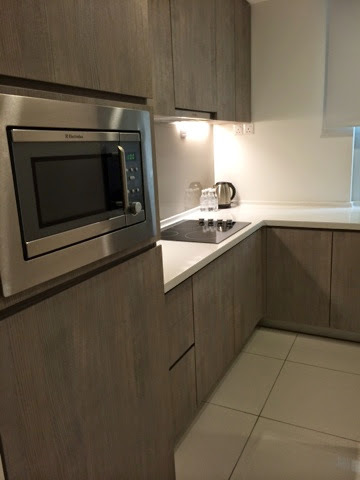 The kitchenette is equipped with stove, fridge, microwave, sink, kettle, cutleries and tucked inside the drawer under the microwave is a washing machine with drying function. 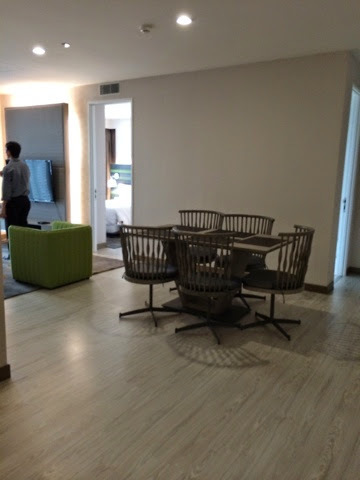 The dining table sits 5 persons, and opposite dining area is the living area. Living area which can comfortably accommodate 3-4 persons. 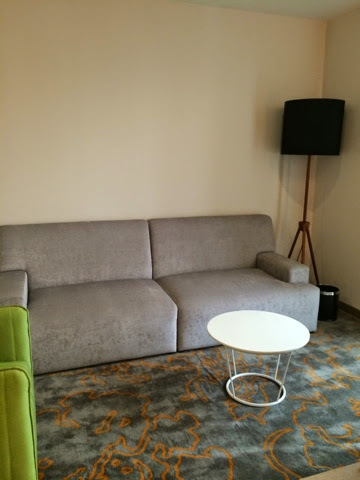 Somehow I feel that the furniture in the living area are rather a mis-matched bunch, with grey and green sofa, white coffee table, and green carpet. It is as though the living area was not planned out extensively. Due to our tight schedule, we did not manage to check out their infinity swimming pool (looks gorgeous from the photos on their website). Our room rate comes with breakfast (another wow factor) although they could improve on the breakfast menu variety. Parking is complimentary for guests staying at the hotel. Overall I think it is worth every penny spent to stay here. 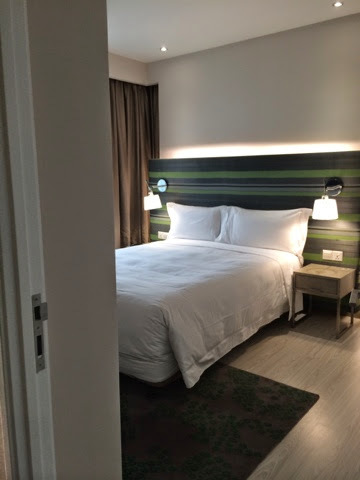 Perhaps if they can provide shuttle service to the nearby Bangsar Shopping Centre or The Gardens, it can attract more leisure-seeking visitors to stay here since access to public transport is the only drawback of staying here. 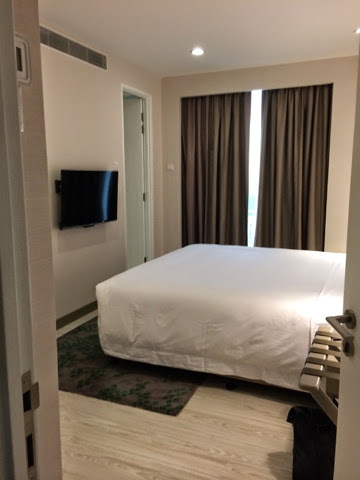 Sekarang memang hang stay hotel ye kalau ke KL? Transport? Tak de la. Hehe. Ni masa aku convo aritu, duduk sini sbb dekat dgn UM. Lagipun rumah kiteorg dh kosong tak de katil, perabot apa sumer so tak selesa la nak bawak mak & mertua aku duduk situ.